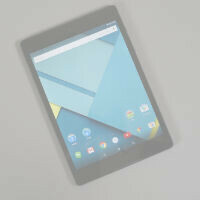 Nexus 9 disappears from the Google Store; new tablet coming for Google I/O? The Nexus 9 was a pretty solid tablet that never really caught on with users. It's hard to say if that was because users are just souring on the idea of tablets overall (which has been true in the tablet sales numbers recently) or some other reason. HTC and Google have been putting the tablet on great deals since Black Friday and now we seem to know why: the tablet is gone from the Google Store. This was a sudden move too. Usually when a device is going away, we see the shipping times slowly get longer and then get a "product unavailable" notice from the store. This time, the listing was pulled without warning today and the old link for the product page now just redirects to the Google Store homepage. In fact, when you click on the "Tablets" link on the Google Store, it goes straight to the listing for the Pixel C. The Nexus 9 tablet is still available directly from HTC (except the 16GB white variant which is out of stock). Now, the question is what happens next. The Pixel C is obviously still around, so it's not like there's no option for a Google tablet. But, this certainly brings up the possibility that there may be a new Nexus tablet on the way. There have been some rumors of a 7-inch Nexus tablet coming from Huawei, and it may be announced as soon as Google I/O next month. We'll have to wait and see. HM...I hope it's much better than the 9. I never really warmed up to my 9 because of lag/freezing up, and lots of random reboots. Finally a new android tablet It's about time. Hopefully it will be worthy to stand next to Apple's latest and not a pos like the galaxy tabs. Just make pixel c more affordable. Nexus 9 had build quality issues and after Nexus 9, I am not excited about another HTC made nexus. I hope the Nexus tablets return to their old form factor of 7 to 8 inches. Android apps aren't well optimized for screens larger than that (blown up phone apps) plus there aren't very many good small tablets. If they do that, I'm game. Otherwise you are better off getting an IPad TBH. They have better optimization at that size (8.9 to 9.7 inches). Oh and please don't use a Nvidia brand chip, they seem to have issues whenever Google uses them in their Nexus tablets. I agree with you on the Nvidia brand chips, I have a Sony Xperia Tablet S, old as dirt now but still a great tablet. It has a Tegra 3 processor in it and this tablet has never given me ANY problems, then again I paid about $620 for it. Tegra chips work perfectly if they are optimized. unfortunately Nexus devices are cheap pieces of crap, and the Nexus 7 was a great example, although I think that tablets problems stemmed from bad memory that got slower over time. My Nexus 9 was alright I could not love its build quality..